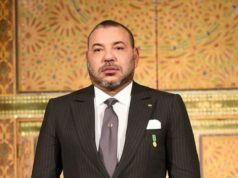 Rabat - Lebanon and Guinea’s claims about FIFA’s electronic voting system have not convinced Morocco’s 2026 World Cup Committee. According to Morocco 2026, the countries deliberately voted against its bid on Wednesday's vote in Moscow. 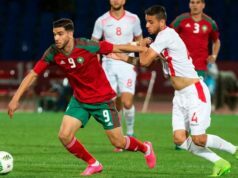 Rabat – Lebanon and Guinea’s claims about FIFA’s electronic voting system have not convinced Morocco’s 2026 World Cup Committee. According to Morocco 2026, the countries deliberately voted against its bid on Wednesday’s vote in Moscow. 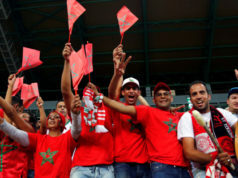 A source within the Moroccan committee told Morocco’s sports news outlet Hesport that statements from Guinea and Lebanon denying they voted for the North American bid are attempts to cover up their change of heart at the last minute. “We were surprised by Guinea and Lebanon in the list of voters for the [North] American file after they promised to vote for us … we realize that there is no mistake, and they chose to let us down at the last moment after succumbing to the pressures of Americans and Saudi Arabia,” said the source. 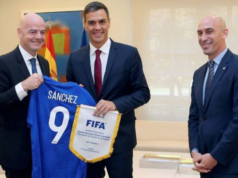 The source added that the voting procedure was simple and easy, and both football federations have not filed a complaint to FIFA about the voting system. 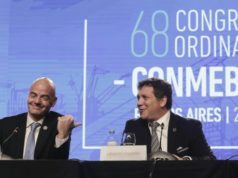 After the vote on June 13, the Lebanese and Guinan football federations claimed that they had not voted for the North American bid, United 2026. President of the Guinean Football Federation Antonio Souaré blamed the electronic voting system. Secretary General of the Lebanon Football Association Jihad El Shahf told Football Lebanon that his country voted for Morocco’s bid. Saudi Arabia launched a last-minute campaign on June 11 and 12, pressuring countries to vote for United 2026. On Wednesday, several Arab and African countries voted for United 2026, including Kuwait, Bahrain, Namibia, South Africa, and Liberia. Morocco’s bid received 65 votes, while the joint bid of North America received a majority of 134.